China is home to more than 60 percent of the world's high-speed railways, or 16,000 kilometers, Premier Li Keqiang said in this year's government work report on Thursday. "High-speed railways can drive economic development in west China and facilitate the flow of resources in different regions. 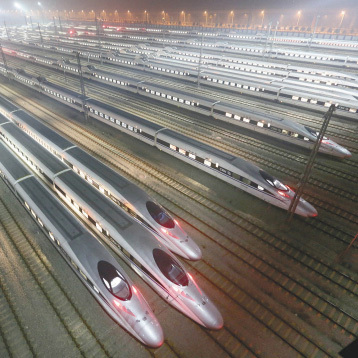 It plays an important role in narrowing the gap between eastern and western China," Cheng Zhongxing, deputy director of the high-speed railway development study center at Southwest Jiaotong University. Zhao Jian, a professor at Beijing Jiaotong University, said that less dense populations in some remote areas may result in limited economic benefits from the railway, and could lead to local government debt.